Global Registration Solutions provides registration, lead generation, and RFID attendee tracking services for events, meetings, and conferences worldwide. With over 20 years of industry experience, Global Registration Solutions leveraged their personal knowledge and developed a solution with event exhibitors in mind. Exhibitors are often tasked with achieving specific goals, and they are given a specific budget in which to accomplish their goals. Squeezing the value out of every dollar turns into a necessity. Global Registration Solutions custom developed an application around their clients’ needs, which offers exhibitors a tool box of services designed to provide measurable results at every stage of the event management process – pre-registration, on-site services, and post-event. The experts at atlasRFIDstore were able to help Global Registration Solutions pick the right RFID equipment that would meet their needs and the needs of their clients. The event management industry has a few key, heralded services, and lead retrieval is chief among them. A common goal at an industry trade-show is generating new sales; however, all leads are not created equal. In order to maximize return-on-investment, exhibitors focus on high quality leads, but sifting through all the attendee records is a daunting task. Lead retrieval solutions allow exhibitors to see which booths, seminars, and session’s attendees visited throughout the show. Also, pre-qualifications survey responses and other event activities can be synced with the attendee record. 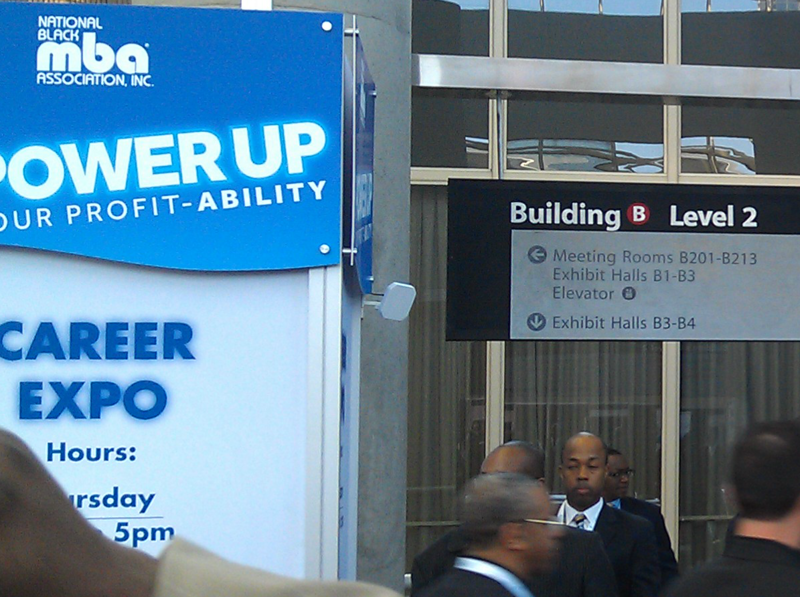 With all this information, exhibitors segment attendees into appropriate marketing campaigns. 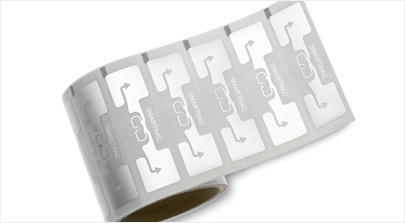 RFID badges with 1D or 2D barcodes are commonly used for lead retrieval. Pre-registration management is another popular service provided by Global Registration Solutions and other similar companies. Among the pre-show services, Global Registration Solutions builds registration web pages for their clients. The valuable service allows Global Registration Solutions to manage attendee information from registration onward, and it gives Global Registration Solutions’ clients access to segmented data for detailed analysis. Additionally, Global Registration Solutions has all the registration information readily available for the production of all badges, session tickets, agenda, and other event material. Managing the event data from one location streamlines the pre-show preparations. Before radio frequency identification and barcoding were used in lead retrieval and registration services, event management was a laborious and manual process. However, the lauded benefits of the new RF technologies are not exclusive to the event management team. RFID has eliminated the necessity of signing in for sessions, which in turn has eliminated annoying, long lines for attendees. Removing traffic flow impediments create a more pleasing event experience for attendees as it both eliminates lines and congestion in high traffic areas. Dale Bookout and Tony Robinson founded Global Registration Solutions in 2007 at the behest of a client who needed an on-site registration solution. At the time, Dale Bookout was Vice President of Registration for a large registration and housing company. Dale’s former company only dealt with large events, so when his employer turned down the client, Dale saw an opportunity. Dale partnered with co-worker and friend Tony, and, together, they developed an on-site registration solution for the mid-size event. As Tony and Dale continued producing more shows, they gradually added more services to their tool kit. When Global Registration Solutions decided to add lead retrieval to their suite of services, they made an important business decision in the best interest of their customers. They determined owning the lead retrieval equipment wouldn’t benefit their customers in the long run, even though Global Registration Solutions would add to their bottom line substantially. Instead, Global Registration Solutions rents lead retrieval equipment. The technology behind lead retrieval is so rapidly evolving, they determined that if they owned the equipment, it would be outdated within the year. Clients would either have antiquated hardware, or they would have to burden the cost of new equipment. With the rented hardware strategy, Global Registration Solutions consistently offers their clients the newest, most innovative solutions. More importantly, Global Registration Solutions is able to build a solution specifically meeting the needs of every client. Global Registration Solutions has been an agile company from the beginning and has quickly adapted to the business goals of their customers. When a client approached them requesting an RFID attendee tracking system, Global Registration Solutions immediately started researching RFID technology. Since Global Registration Solutions was developing their solution completely in-house, they could choose among any hardware components available on the market, but they wanted to be confident in selecting the optimum system. They leaned on RFID resources like the hardware experts at atlasRFIDstore. 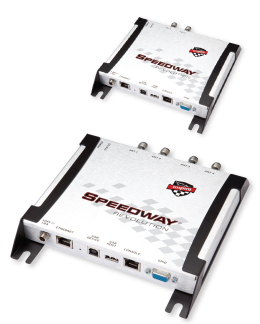 After a few consultative phone calls with atlasRFIDstore, Global Registration Solutions purchased an Impinj Speedway Revolution RFID reader along with an RFID antenna and a sample pack of RFID tags. They rigorously tested the system in a controlled environment until quality assurances were met, and they determine their system was ready to go live. Once Global Registration Solutions debuted their RFID solution, a whole new market opened itself to them. Now that they could unobtrusively track attendance to seminars, Global Registration Solutions offered more session tracking services to their clients. Exhibitors now had access to a new world of metrics. The show floor traffic numbers could be made readily available, as well as session metrics for different speakers. Understanding which speakers are popular with certain attendees provides exhibitors with valuable and actionable information. Also, Global Registration Solutions could now monitor attendance information for sessions which awarded continuing education units. Global Registration Solutions RFID application is based on the Impinj software development kit (SDK). As an event attendee walks within range of an antenna, the RFID reader sees the UHF RFID tag and sends the unique ID to a database. For post-show, Global Registration Solutions has developed a reporting tool that clients use to gauge the success of their event. With the reporting tool, exhibitors can perform cohort analysis and learn how similar groups of attendees were engaged with the event. This information allows exhibitors to make more informed decisions for their next event, maximize their return-on-investment, and create a better overall experience for attendees. Leading up to the show, Global Registration Solutions uses a ThingMagic USB+ RFID Reader to encode the badges. They affix a SMARTRAC DogBone inlay on each attendee’s badge, and every badge has a 1D barcode associated with the attendee’s unique ID. Global Registration Solutions has developed custom software which reads the 1D barcode and encodes the RFID tag with the unique ID. 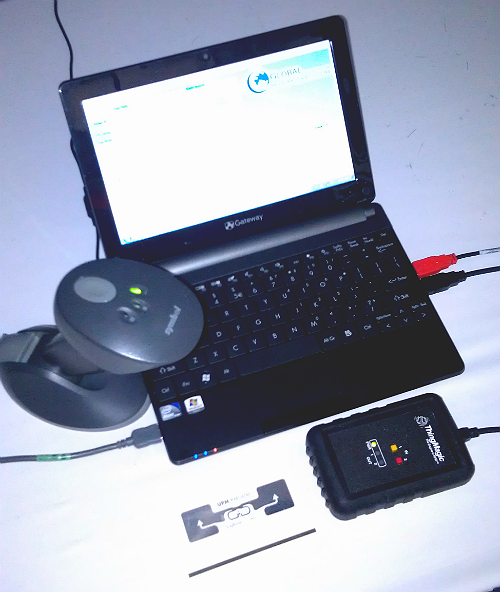 Whenever the RFID tags are read by an antenna, Global Registration Solutions’ application associates the session metrics with the unique ID. On the day before the show, the Global Registration Solutions team will visit the event facilities and begin planning their equipment layout. It’s important to find all the meeting rooms as well as all entrances and exits. For show floor tracking to be accurate, the entrances and exits need to be controlled so that the RFID antennas are able to cover the main entryways. Coordinating with the event facilities IT department is equally important. All the RFID equipment requires networking so that information is passed to the central data server. At certain times, Power over Ethernet RFID readers bring more flexibility to an RFID deployment, especially when readers need to be mounted in hard to reach areas. After the show, Global Registration Solutions will break down all their equipment and prepare it for transport back to their office. Next, they take all the data collected throughout the show and post it to the secure portal for the event organizers. Since Global Registration Solutions developed their lead generation software in-house, they’ve always had the flexibility to test the waters with new technologies. For the better part of a decade, Global Registration Solutions watched from afar as RFID steadily gained traction. However, Global Registration Solutions was never satisfied with the performance and reliability of a then immature UHF technology. In the early days of UHF RFID, they had seen events with read rates around 70%. The low success rate didn’t meet their quality standards. After a few years had passed, Global Registration Solutions revisited RFID and rigorously tested UHF RFID tags in a convention environment. With their due diligence, Global Registration Solutions found UHF RFID technology had fully developed into a highly reliable and cost-effective method for attendee tracking. Global Registration Solutions’ decision to roll with UHF RFID sets them apart from many of their competitors who use LF RFID. The biggest difference is the read range between the two frequencies. LF RFID tags have a maximum read range of 10 cm, but it’s mostly limited to near contact. Passive UHF RFID tags have a read range of up to 15+ meters which allows UHF RFID tags to be read without having to ask attendees to manually scan their badges. Although LF RFID performs more consistently around metal and liquids, UHF RFID has a much higher data transfer rate meaning badges would still be read in large quantities – perfect for crowds on the show floor. The choice to use UHF over LF is a cost saving measure as well. Other companies who use LF RFID tags will double tag their badges effectively doubling their costs. Global Registration Solutions have found that UHF RFID tags perform so well that only one inlay is required per badge, and they can pass those savings onto their customers. Although Global Registration Solutions use barcodes and RFID inlays in tandem, the use of RFID in their solutions opened the door on many new features and services. Unlike barcodes, RFID doesn’t need line of sight to accurately obtain a read. With no need to directly scan RFID tags, Global Registration solutions is able to provide session metrics such as time on show floor, time at booths, and even catering visits. As it turns out, catering for events is very costly. With Global Registration Solutions software, exhibitors are able to save thousands of dollars by accurately tracking how often attendees visited catering. Exhibitors no longer have to rely on the catering companies overblown estimates. 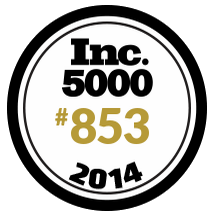 Global Registration Solutions is very much a customer-centric company. All their business decisions are made with the interest of the client in mind. Their story embodies many of the lean and agile methodologies popular among start-ups today. Global Registration Solutions solved a problem for the mid-size event market, and over time they added new features with each iteration of their event management application. When Global Registration Solutions decided to add RFID attendee tracking to their portfolio of services, they consulted with the hardware experts at atlasRFIDstore who helped them pick out the optimum equipment for the solution. atlasRFIDstore is an eCommerce website focusing on RFID technologies including UHF, NFC, and HF. We have a very customer centric philosophy at atlasRFIDstore. We work hard to develop consultant-like relationships with our customers so that they have the necessary knowledge to implement our partners’ products in successful applications. In order to provide the high level of customer service, we have to be experts on every product sold from our store and have implemented training requirements in place promoting continuing education. With our expertise in RFID technologies, we’re able to help customers no matter their situation or application. If you are interested in implementing RFID in your race timing solutions, starting now will save you money in the long run. If you have any questions, please email us at info@atlasrfidstore.com or call us at (888) 238-1155.